An anagram is the result of rearranging the letters of a word or phrase to produce other words, using all the original letters only once. For instance, “words” and “sword” share the exact same group of letters. Can you work out the words by solving the following anagrams? It’s time to give your brain a workout! 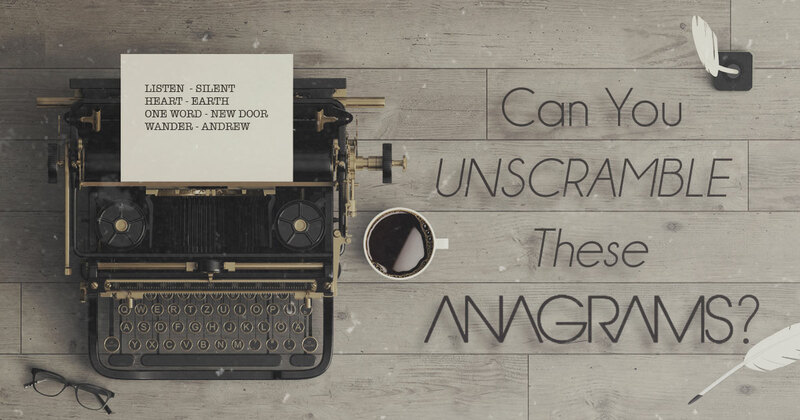 Can you unscramble this anagram? Can You Guess Which Letter Has Been Changed?